March was dominated by female leadership stories - not surprising, after International Women's Day on the 8th of the month, which generated more noise than ever before. Have a look at this Norwegian video, released on the day, which shows brilliantly why equality is important. Everyone finally seems to understand that the world would be a richer and fairer place if women did slightly more of the leading and men did slightly more of the caring. Elsewhere, the FT released results showing that girls as young as 6 already thought that boys were a bit smarter. A piece of research from the University of Glasgow suggested that as many as 75% of women lack confidence in the workplace. Alongside this, Investors in People found that 80% of women are still convinced that gender discrimination continues to pervade UK workplaces. Finally, a Said Oxford Business School study looked at what it takes to become a female CEO. It seems to be about ownership: don't wait to be asked, develop your own style, play the long game, don't rely on others and take control of your own career. Easy! Working Mums is the biggest jobs board for talented mothers wanting to go back into the workplace. As their recent and very readable Best Practice Report illustrates, whichever of the parents is the primary carer, flexibility is fundamental to a successful career. The massive Gender Equality in Law survey which "sheds a light on the road to gender equality in the legal profession" was also released on the 8th March, and made exactly the same point. The legal profession just cannot seem to get gender equality right despite an almost identical male-to-female starting point. Flexible working is the biggest challenge and the biggest opportunity. In order to get to that place called 'gender equality', men need to be fully involved in the debate. In that context, I was delighted to participate in the huge LBS Women in Business Conference as part of the Manbassador panel. The best way to ensure men are fully involved means eventually having statutory paternity leave equal to maternity leave - it's amazing that it's being considered. Have a look at this report from the Women and Equalities Commission showing how fathers are being failed by the current policies. Will they ever go? What we do know is that childcare vouchers are in the throes of suffering a very long and painful death.To the surprise of no-one, they were given a 6-month stay of execution in March. I have no problem with vouchers going - it's a crazy, inefficient way of getting money into the hands of working parents. But here's the thing. Once parents have the money, they do actually spend the vouchers on childcare that suits their needs. There's no point ending childcare vouchers until the new tax-free childcare system is actually up, running, and working properly. There may well be another extension before we are finished! One of the many problems the childcare industry faces is around recruitment. It will only be fixed when it becomes OK for men to be nursery nurses. Findings from the London Early Years Foundation suggested that a total of 26 local councils have precisely zero men working in childcare settings. Depressing but true. Without attracting men into the industry, the qualifications of childcarers will probably get lower and lower - so said the Education Policy Institute. Will it be possible for employers to access some kind of global childcare support at some point? Probably sooner than most people think, as the world's biggest childcare groups start getting their act together. Babilou - France's biggest chain, made an early move this month by snapping up Indian chain Amelio Early Education. Have you reported on gender pay yet? With the deadline looming, gender pay gap reporting has turned from a trickle into a flood. 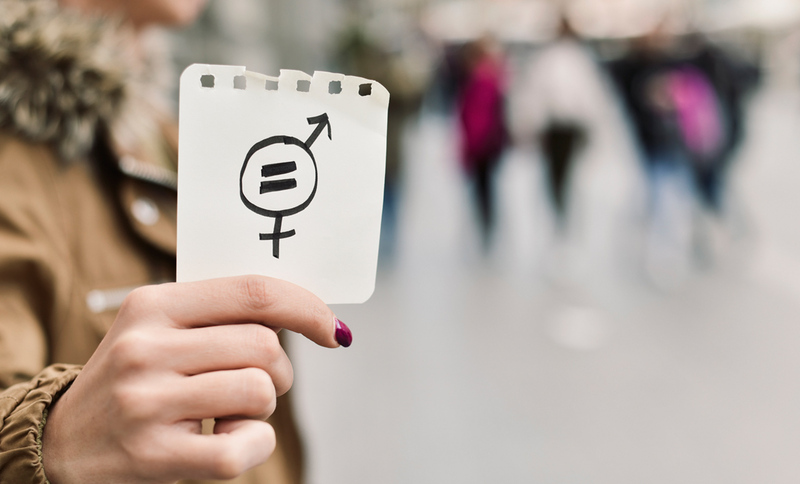 If you think the requirements are tough here then have a look at what's being mooted in France, where fines are being considered for employers that don't manage to fix the pay gap! Eldercare will only really get easier for working carers when some of the new breed of platforms that help join up the market start being widely adopted. SuperCarers is the best of the various platforms out there and raised an impressive £3.8m in their latest funding round. Meanwhile, we are delighted to say that no less than 9 MFC clients made LinkedIn's list of most desirable employers. Have an enjoyable Easter break.